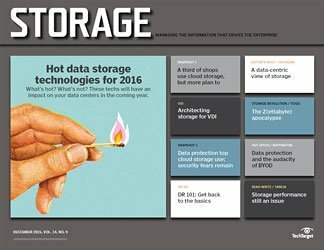 Whether it's big data issues or just trying to stem the tide of file data, new developments in NAS systems and a range of products put them center stage as attractive alternatives. 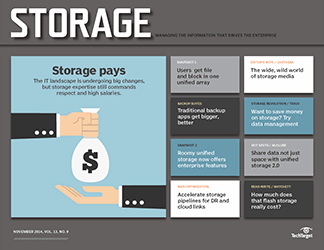 Exponential growth of unstructured data continues to spur file storage growth and network-attached storage (NAS) deployments. 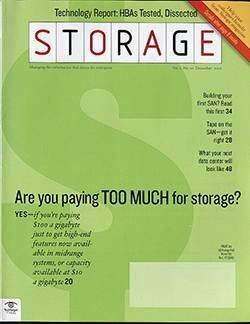 According to a research study done by Milford, Mass.-based Enterprise Strategy Group (ESG), one-fifth of users report NAS capacity growth of more than 50% per year, and 54% of organizations with NAS installations said their storage capacity is growing by at least 20% per year. 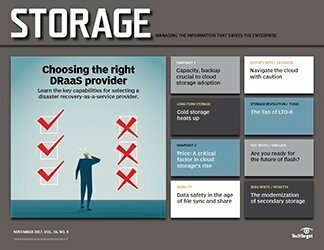 Most companies opt for NAS storage rather than file shares on servers because of the reliability, performance, scalability and storage management advantages of NAS, as well as features such as replication, snapshotting, thin provisioning and efficient cloning. 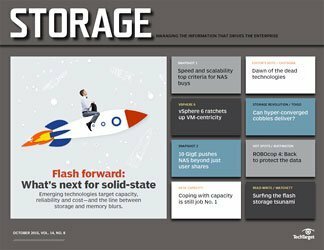 Available as gateways to front-end block-based storage and as complete systems with their own storage, NAS systems are now used by companies ranging from very small outfits to large enterprises. 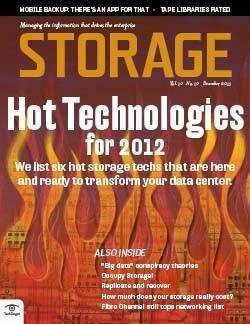 At the low end of the NAS spectrum are systems for home users. Priced as low as $100, they may come with two or four drives with an option for RAID 0/1, and include features such as a single gigabit Ethernet port, web-based administration, the ability to create users and file shares, support for basic quotas for file shares and a backup application. With modest performance and no ability to scale, they’re intended for “prosumer” users and the small office/home office (SOHO) market. Examples of these entry-level NAS systems are D-Link ShareCenter, EMC’s Iomega StorCenter, Netgear Stora and Seagate BlackArmor families. Enlarge NAS SYSTEM SEGMENTS diagram. 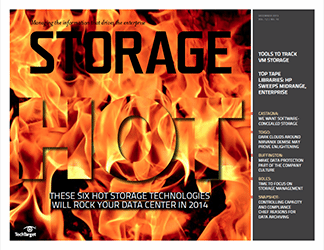 Low-end to midrange NAS appliances that are usually found in smaller organizations are the next level up. 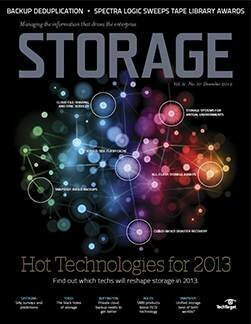 Capacities can range from a few terabytes to more than 100 TB, with some supporting SAS in addition to SATA drives. These systems usually offer some high-end protocols and features such as various RAID levels, Microsoft Active Directory (AD) support, snapshots, replication and a dedicated backup interface. Appropriately sized with multicore CPUs, sufficient memory, SAS drive options and multiple gigabit ports, they deliver decent performance. Usually priced under $25,000, they’re intended for small offices and remote offices of larger organizations with limited IT staffs and budgets. Usability and support options are key requirements in this segment. 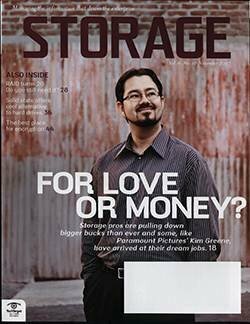 The various Microsoft Windows Storage Server-based NAS offerings, Netgear ReadyNAS and Nexsan E5000 families, and Overland Storage SnapServer family are examples of systems in this NAS segment. 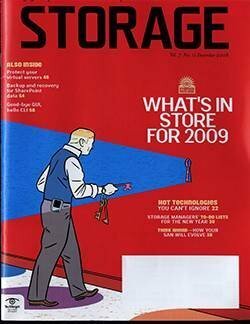 At the higher end of the spectrum NetApp, with its FAS2000 family, is also targeting this space. 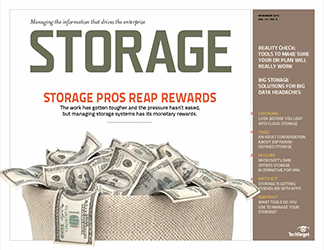 “The focus of low-end to midrange NAS systems is to combine ease of use with affordability and pertinent NAS features, such as AD integration, replication and snapshots,” said Greg Schulz, founder and senior analyst at Stillwater, Minn.-based StorageIO Group. 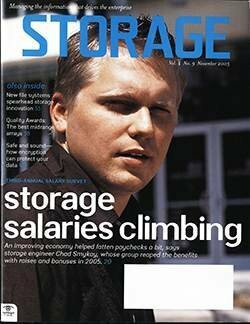 Moving farther up the ladder are NAS systems for small- and medium-sized businesses (SMBs) and enterprises. 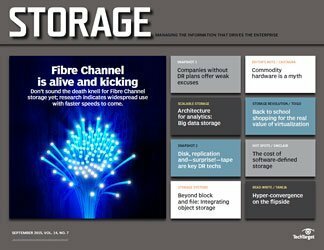 This segment has been dominated by EMC and NetApp, with BlueArc (now part of Hitachi Data Systems) and emerging scale-out NAS vendors on their heels. 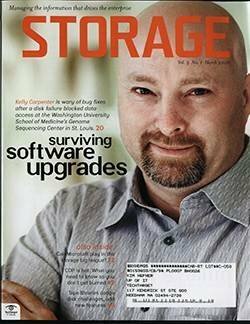 “In enterprise deals you always see NetApp or EMC, or both, and sometimes some of the other players,” Schulz said. 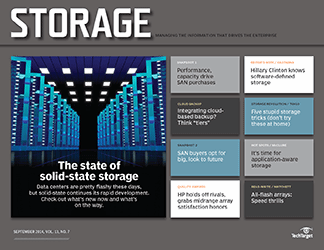 EMC’s acquisition of Isilon Systems and NetApp’s support of scale-out deployments in Data Ontap 8 help tilt the odds toward EMC and NetApp. 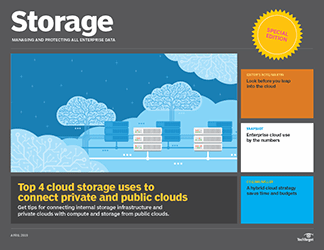 High performance, support for hundreds of terabytes up to petabytes of capacity, high availability (HA), enterprise-level support and an ever-growing list of NAS features are characteristic of this product class. 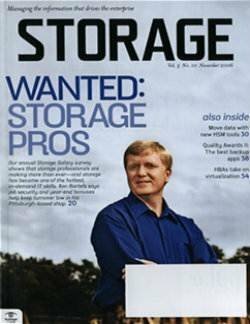 Enterprise NAS systems are pushing the feature envelope in a seemingly continuous attempt to expand feature requirements. For instance, support for both block- and file-based protocols, the ability to scale horizontally and deduplication are changing from nice-to-haves to must-haves. 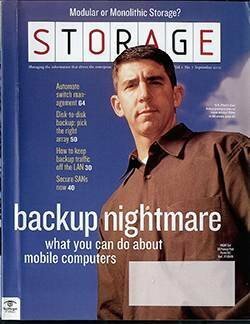 Enterprise NAS systems are usually optimized for traditional corporate apps, that is, to excel in serving a large number of small files and to display good performance with back-office apps such as Microsoft SharePoint, Exchange and SQL Server; but they’re usually not the first choice for applications that push throughput limits. Certain applications and industries -- such as the media/entertainment industry and gas/oil exploration, where very large files rather than a lot of smaller files prevail -- require very high throughput and massive scalability. 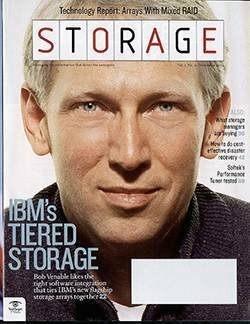 This has been the sweet spot of scale-out and high-performance NAS systems, such as EMC Isilon, Hewlett-Packard (HP) StorageWorks X9000 Network Storage Systems, IBM Scale Out Network Attached Storage (SONAS) and Panasas. Fully redundant dual-controller NAS systems have dominated the enterprise space since they first appeared on the market in the early 1990s. They scale vertically by adding disk spindles, and all components are tightly coupled and share a common pool of resources. Once the performance limit is reached, the only scaling option is to add additional NAS systems that operate independently of each other. 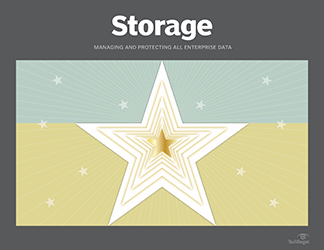 Because they scale by adding spindles, they perform well with workloads that primarily consist of random access of small files, which represents the prevailing workload in enterprise data centers. Conversely, scale-out NAS consists of loosely coupled processing nodes, starting with as few as two, that operate in parallel and scale horizontally by adding additional nodes. Even though the degree of parallelism among scale-out systems varies, in general, processing nodes work in concert to deliver files. Each time a node is added, performance of the overall system increases proportionally. 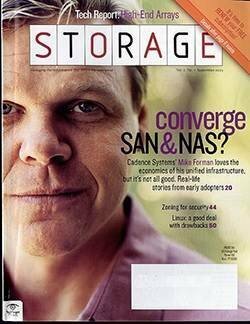 For the most part, a scale-out NAS approach eliminates the need for expensive forklift upgrades to replace existing systems; instead, it makes it possible for the existing single NAS system to expand to multiple petabytes. The benefits of scale-out NAS are pretty compelling: improved performance of both I/O and throughput, improved scalability, cost reduction, simplified management by only having to manage a single large system and elevated high availability. 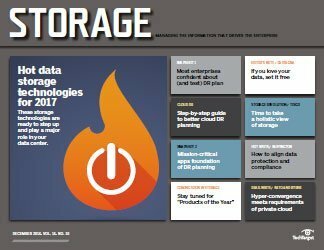 “We predict that by 2015, 80% of all storage systems [NAS and block based] will be based on scale-out designs,” said Terri McClure, a senior analyst at ESG. 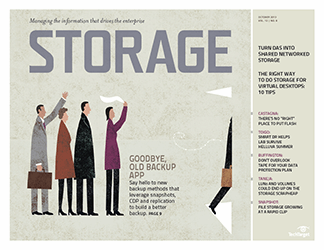 The ability to support scale-out deployments is increasingly becoming a requirement for enterprise NAS systems, and traditional scale-up systems will be gradually relegated to the SMB space. But even in the SMB space they’ll face the scale-out threat, especially from NetApp with its scale-out deployment support in Data Ontap 8. 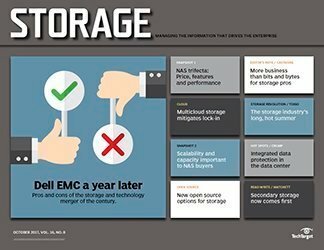 Perhaps the strongest indicator we’ve reached a scale-out inflection point is that the leading NAS vendors have all signed up to the scale-out paradigm: Dell through its acquisition of Exanet and having released initial gateway products based on Exanet (the NX3500, a NAS gateway for the PowerVault iSCSI arrays; and the NX7500, a NAS gateway for the EqualLogic array family); EMC by acquiring Isilon; HP with StorageWorks X9000; IBM with SONAS; and NetApp. 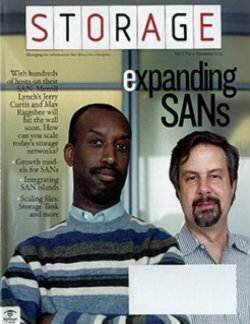 The Network File System (NFS) protocol was originally developed by Sun Microsystems and quickly evolved to the standard on Unix- and Linux-based operating systems. Supported by most NAS systems in addition to Server Message Block/Common Internet File System (SMB/CIFS, used with Microsoft Windows systems), it’s becoming even more relevant as a result of several recent developments. Currently, NFS Version 3 is prevalent and used by most companies. 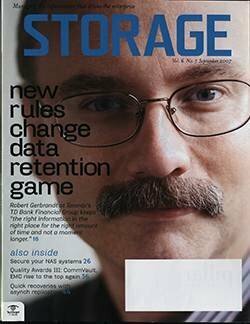 “Very few of our customers use NFS Version 4 at this point,” said Drew Schlussel, EMC’s director of product management for VNX. NFSv4 has been available for several years and stands out for its advanced security features and better performance. NFSv4.1, which was ratified in 2010, supports clustered systems and the ability to provide parallel access to files distributed across multiple nodes via the parallel NFS (pNFS) extension. 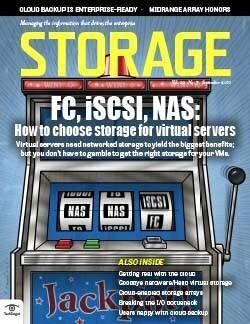 As scale-out NAS architectures move into the mainstream, NFSv4.1’s support of pNFS will likely spur adoption. 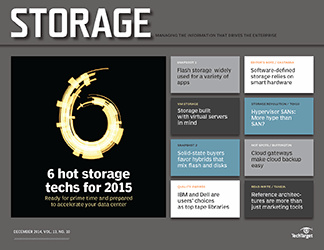 VMware’s NFS storage support and enhancements are further popularizing NFS. 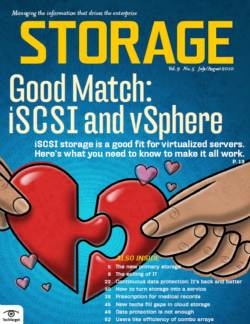 “We’re seeing NFS becoming more popular for VMware rather than going with block-based storage [iSCSI/Fibre Channel],” Schlussel said. 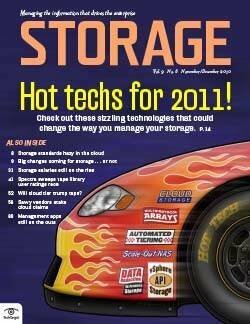 Features and capabilities that allow you to store more data on physical disks should be a central piece of any storage array evaluation. 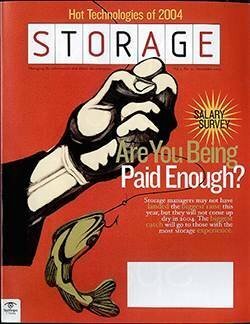 The cost savings of having to buy less physical storage can be significant and can easily offset higher acquisition costs. 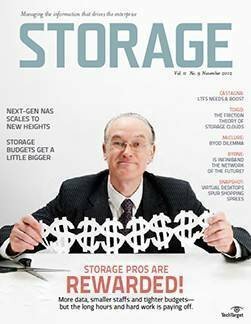 In other words, a more expensive NAS may cost you less over its lifetime than a less-expensive one with inferior storage efficiency features, such as thin provisioning, efficient snapshots, thin clones, deduplication and compression. 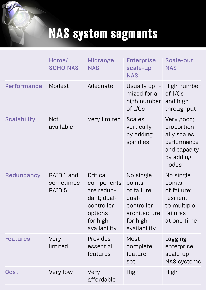 Implementation and efficacy of these features vary among NAS products. One area of differentiation is the granularity at which these features operate. 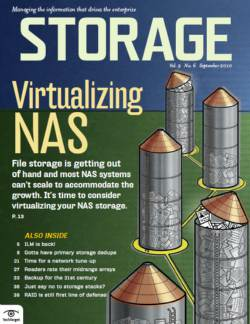 In the majority of NAS systems, they’re applied to volumes, but in some they can be applied to directories or even files. 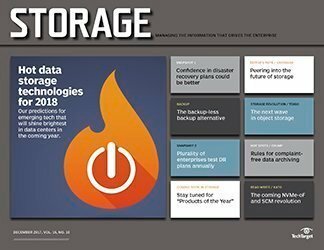 “The EMC Isilon supports snapshots, replication and quotas at a file and directory level,” said Sam Grocott, vice president of marketing at EMC Isilon. 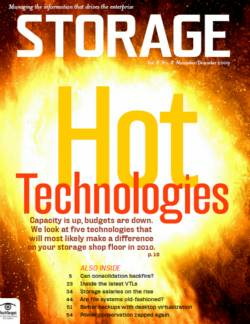 The following NAS storage efficiency features should be considered to minimize physical storage requirements. Thin provisioning. 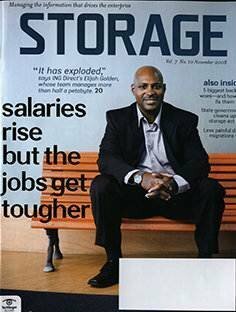 The ability to allocate more storage than is physically available is pertinent to achieving high storage utilization. 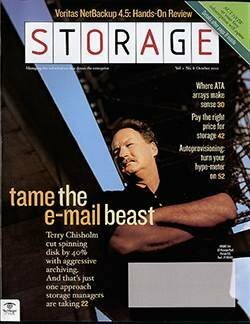 This is especially important in systems that support both file- and block-based protocols, where thin provisioning enables volumes and NAS pools to be sized independently of actual physical storage, and where physical storage is assigned from a common storage pool on an as-needed basis. 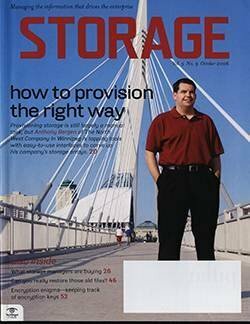 Without thin provisioning, sufficient physical storage has to be allocated to each volume and storage pool ahead of time. 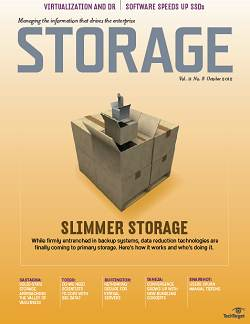 In systems that support thin provisioning, physical storage is allocated dynamically when needed. Efficient snapshots. 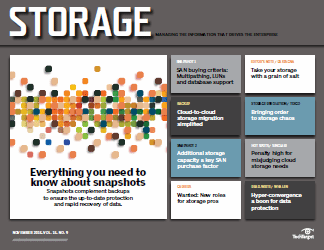 Snapshots in NAS systems are invaluable for data protection. 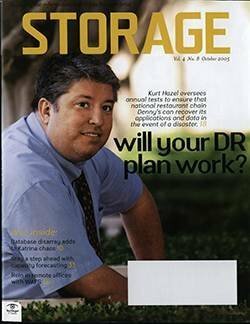 They’re scheduled to be taken periodically and can optionally be replicated to other NAS systems for disaster recovery (DR) or other data protection purposes. 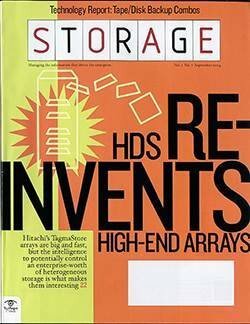 Supported by most contemporary NAS systems, efficient snapshots copy data changes and use a system of pointers to reference the initial full snapshot. 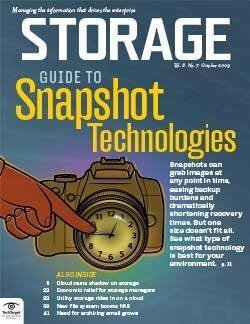 Efficient snapshots not only save valuable disk space, but also reduce the time it takes to complete them, minimizing the performance impact while snapshots are taken. Thin clones. 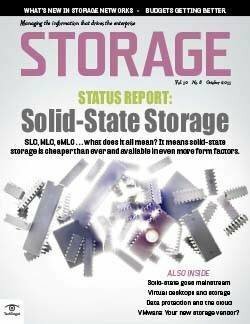 Relevant in NAS systems that support block-based protocols, thin clones require little to no storage on creation. Similar to efficient snapshots, thinly cloned volumes refer to the original volume via pointers. 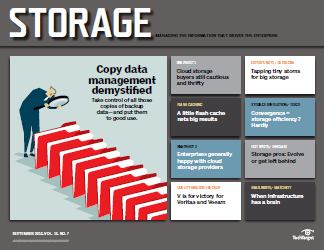 Only data on the cloned volume that changes needs to be stored. 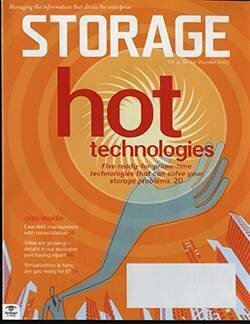 Pioneered by NetApp with FlexClone, thin clones are now supported by a growing list of NAS vendors. 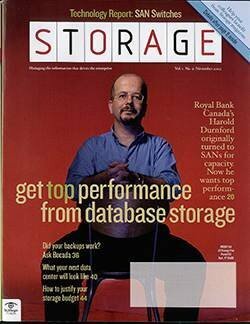 Deduplication and compression. 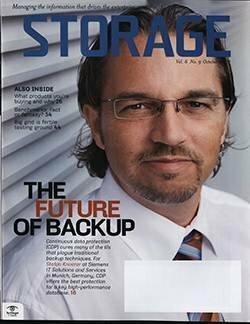 Standard in backup and archival products, data deduplication and compression are becoming more prevalent on primary storage systems. 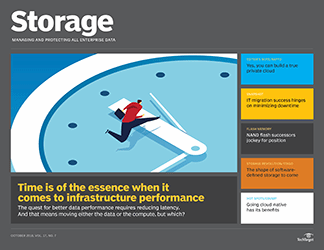 While support for deduplication in NAS storage is still sparse, it can be implemented as a post-process scheduled task or in real-time. 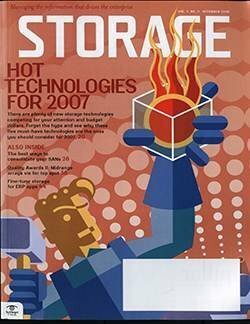 For instance, deduplication in NetApp filers can be enabled on a per-volume basis and is performed by a scheduled process that deduplicates 4 KB blocks of data, usually during off hours. 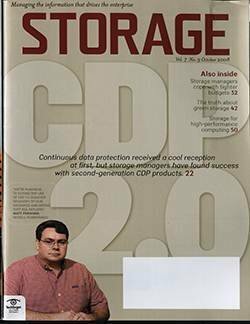 On the contrary, the Oracle Sun ZFS Storage 7000 series performs deduplication in real-time while data is written to disk. 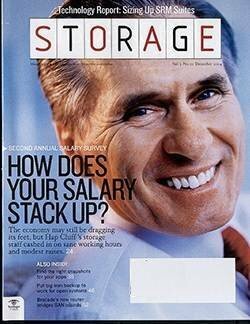 Automated storage tiering. 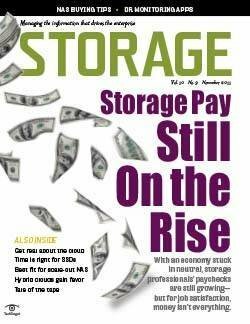 The ability to keep active data on fast, expensive storage and move inactive data to less-expensive slower tiers helps to limit the amount of expensive tier-1 storage needed without significantly impacting performance. 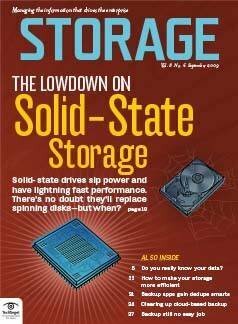 For any NAS system you consider, data movement between the different tiers (solid-state storage, fast SAS tiers and slower, high-capacity SATA tiers) should be automatic with block- or byte-level granularity rather than the volume-level granularity at which data is moved. The more granular, the better. 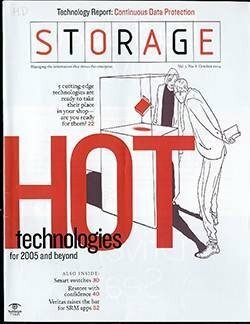 Some systems, like EMC’s Fully Automated Storage Tiering (FAST), depend on policies that define when data should be moved; others, like NetApp and Oracle (in the Sun ZFS Storage 7000 series), advocate that the storage system should be smart enough to automatically keep data on the appropriate tier without requiring user-defined policies. 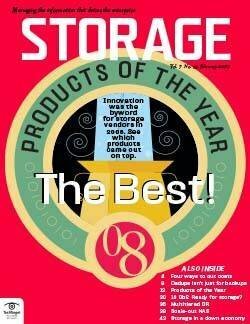 With the two leading NAS vendors -- EMC in its VNX array family and NetApp in all its systems -- supporting file-system protocols (NFS and CIFS) and block-based protocols (Fibre Channel and iSCSI) in a single storage array, the unified storage approach is gaining popularity. 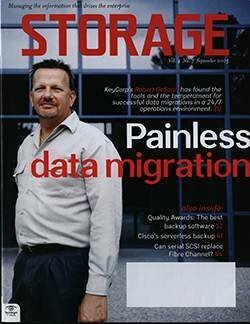 This is especially true for SMB companies looking for a single storage system that meets all their storage needs: deliver file shares and services, but also serve as storage for virtualized servers and back-office applications such as Microsoft SQL Server, SharePoint and databases. 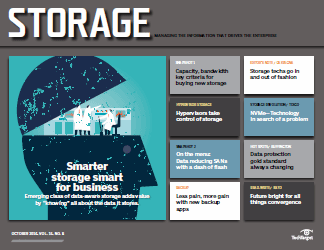 “Small and midsize companies are usually looking for a jack-of-all-trades storage system that’s easy to manage and affordable,” said Drew Schlussel, EMC’s director of product management for VNX. 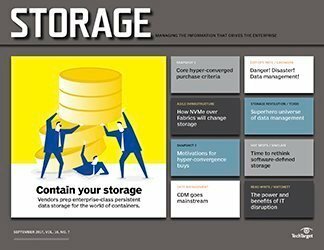 With the accelerated deployment of virtualized servers, integration with and features that aid virtualized computing infrastructures are becoming important storage evaluation criteria. 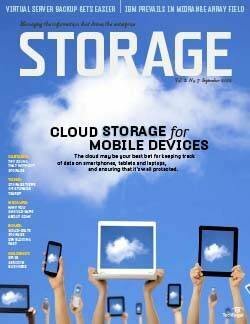 It starts with determining how quickly and efficiently volumes can be assigned to virtual machines (VM). 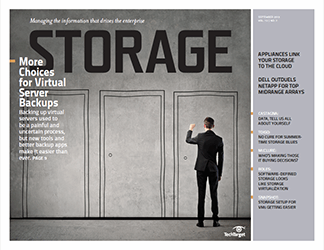 “With FlexClone, we can rapidly clone VMware VMDK images with the click of a button,” said Jason Blosil, NetApp’s product marketing manager. 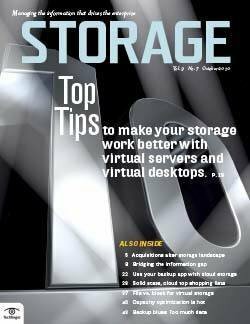 The simplicity of deploying virtualized servers whose VM images are stored on a single NAS and, if created as thin clones, share many of the same physical storage blocks, can easily result in performance problems. 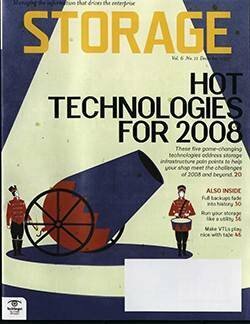 Identifying the mechanisms a NAS system has in place to support the unique requirements of virtualized servers is crucial to preventing unpleasant performance surprises as the number of VMs increases. 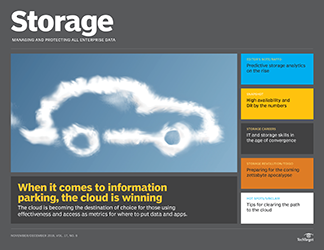 Some vendors use a combination of solid-state storage and automated storage tiering via policies or cache to keep hotspots in the fastest storage tier. 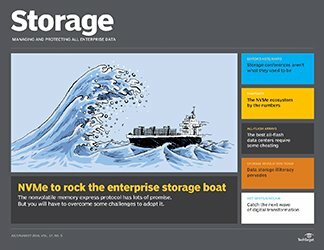 VMware has been providing the vStorage API for Array Integration (VAAI) to offload storage and associated management functions from vSphere to storage systems, but prior to vSphere 5, support was mostly limited to block-based storage. In vSphere 5, VAAI has been enhanced to better support NFS and network-attached storage for tasks like thin provisioning and snapshots. 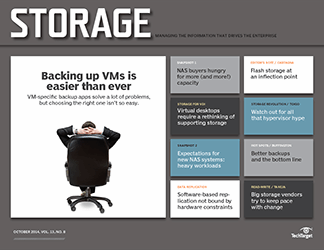 VAAI support helps remove storage bottlenecks by offloading resources of intense storage and management tasks from the hypervisor to the storage system. 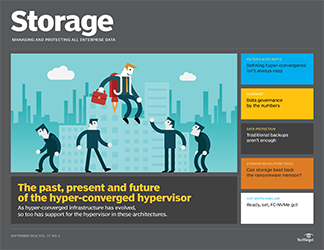 Finally, hypervisor plug-ins for VMware vCenter and Microsoft System Center Virtual Machine Manager (SCVMM) that provide storage management and reporting from within hypervisor consoles enable IT generalists and server administrators to perform storage tasks. 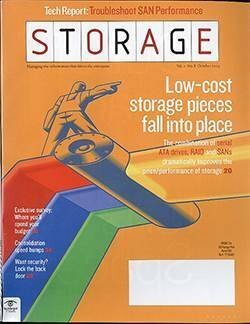 Because of their many merits, NAS systems, in the form of gateways to block-based storage and standalone systems with their own storage, have become an essential component of today’s data centers. 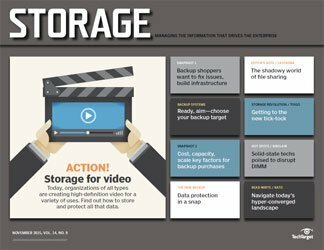 With increased support for scale-out architectures, block-based protocols along with file-system protocols, tight integration with virtualized environments and storage clouds, and an expanding list of features, NAS system are moving closer to becoming a storage system nirvana: a single, fast and massively scalable storage system for all applications and data. BIO: Jacob Norbel Gsoedl is a freelance writer and a corporate director for business systems. He can be reached at jgsoedl@yahoo.com.